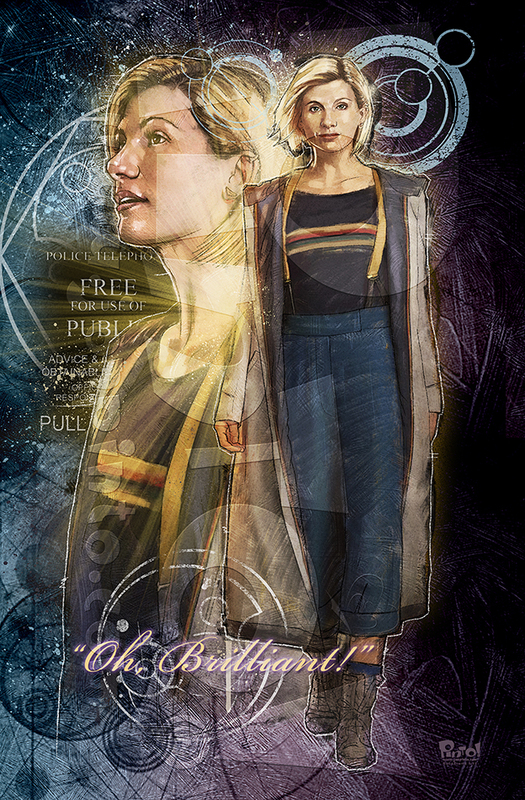 By now the whole world knows who the new Doctor Who is and what she will be wearing when the show returns this fall. Yes, she. It's been a very polarizing decision to cast a woman in a role that has only been played by men since the show started way back in 1963. Even in my own household! Yes, I will admit that I was not keen on the idea. Not because of any political or social stance but one of selfishness. Let me try to explain. I lost my father when I was very young and immediatley turned my attention to comic book and television heroes to fill the void of a positive male role model in my life. The Doctor was one of them. I wasn't yearning for a female role model because I was (and still not) a female and I already had the best role model for that in my mother. I am not opposed to strong female characters either. I always loved Wonder Woman, Princess Leia and such as well. My other problem with the gender change was that it may change the character too much. 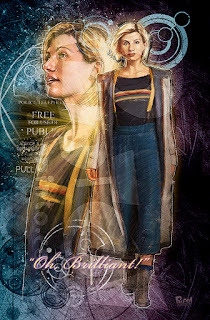 I am really hoping that they still write the role the same way, simply as The Doctor, and not the "female Doctor" and I will probably be won over in no time at all. After all, it IS the same character and should not present the same problem I have with characters changing identities like in the comic books. It must be really confusing when someone becomes a fan of Captain America, The Hulk, Thor, or Spider-Man from watching the movies and then go to buy a comic book of them only to discover that they are completely different people now. Again, I am NOT opposed to a gender or racial specific hero, but I think new characters should be created rather than getting essentially, left-overs!